We assume the scenario, in which students are absent from class or distributed in different locations all over the world will increase. 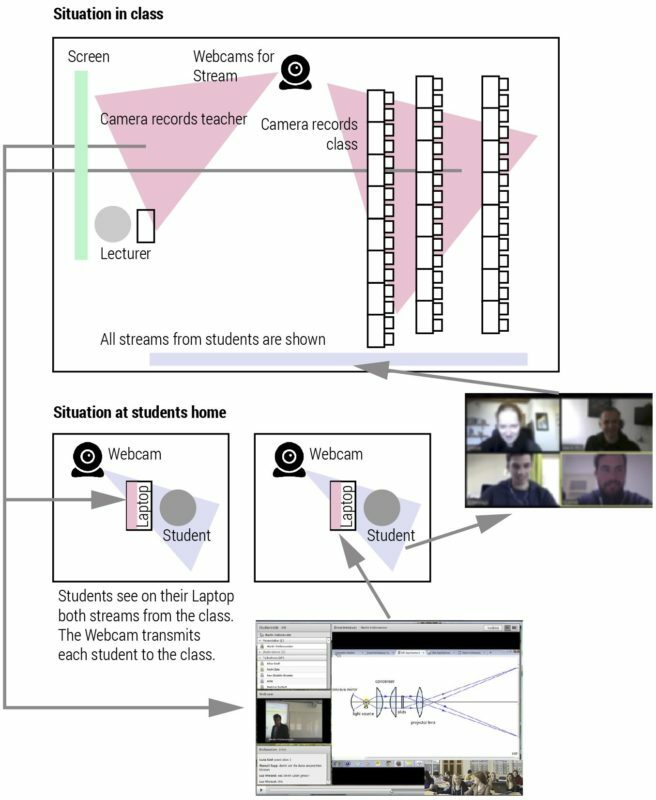 Streaming technology gives students a way to attend the classes remotely. 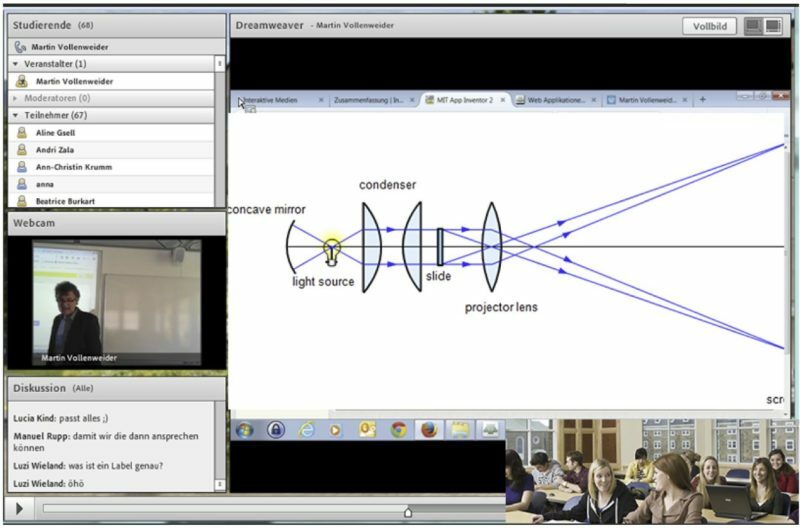 Lectures can be held from different places and the video technology allows students to follow the classes and chat with the lecturer and other students. Nevertheless our experience with streaming shows that the students watching the stream are not as engaged nor fully integrated with the students in the real classroom. In our approach we build a virtual environment where all students are part of the class and therefore fully integrated. They also have the possibility to communicate better and even to work in groups. In a normal classroom the teacher, the slides as well as the whole class are live streamed to the enrolled students, who are not able to attend the class. The remote students see the teacher, the slides as well as the onsite class on their laptops. They have the possibility to chat to the lecturer as well as to other students. Students who work at home are part of the class and shown on the screen in the classroom either with their real face or as an avatar (to keep privacy). Students who are working remotely are also part of the classroom. They see the teacher as well as the class. Students can chat, communicate and work in groups. 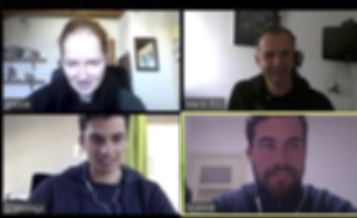 The project «Distributed collaborative education» can be used for any lecture during a Bachelor or Master studies. The idea is to integrate students fully who are not in the classroom. The project consists of didactical procedure, processes, collaborative work, and technology aspects. From our own experience we know that students appreciate when they don’t have to be present all the time at class. Listening to the lecture via stream is only part of the solution. The students are isolated and not part of the class nor group.They feel better when they can communicate by chat with the teacher and class. With our idea we go one step further and integrate the absent students also visually into class and vice versa.